House spiders can be pretty large and can cause a nuisance in anyone`s home. They have the ability to bite, but they are not very dangerous for humans because they do not have venom. 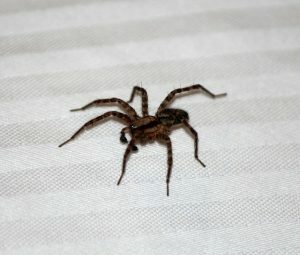 House spiders are not aggressive, but they can sometimes leave a painful bite which can cause swelling and redness around the bitten area. Male spiders usually enter homes at the end of the summer or early autumn months when they go out looking for breeding partners. If you want to avoid dealing with these creatures and prevent them from invading your space, then you can do the following things. 1. Clear away other dead insects, flies and other small insects, because they are the main spider food. 2. Clean and vacuum your home regularly, especially sheltered spots behind sofas, cupboards, and worktops. 3. Remove any spider webs you find in your home. Check out all corners of mirrors, picture frames, and ceilings. 4. Fill in all the gaps in your home, between walls, pipes, and below the doors. 5. Limit the light sources, because all insects are drawn to heat sources. Outside lights often attract flies, which are main spider prey. Turn them off whenever you can. 6. Spiders are repelled by the strong smells of vinegar, lemon, eucalyptus and peppermint. You can rub a lemon peel on the corners of your doors and around windows, to stop spiders from entering. 7. Cats are also enemies of spiders and are well known for eating them. So, if you are thinking about a pet, a cat can be very efficient in eliminating spiders. However, the cat cannot prevent spiders from coming inside your home….unfortunately! 8. There is an old belief that spiders really do not like conkers, so it might be a good idea for you to place a few of them in some corners of your home. You never know…it might work! Spiders get a bit of a bad press but they’re unlikely to invade your home in huge numbers. However, if you’re a bit arachnophobic, one spider is enough. Try the above and you should see a difference if not contact Pest Control!